In this haunting book Xinran recreates Shu Wen's remarkable journey in a grand story of love, loss, loyalty and survival. 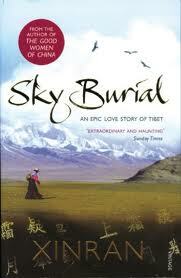 Moving, shocking and finally enriching, Sky Burial paints a unique portrait of a woman and a land, both at the mercy of fate and politics. 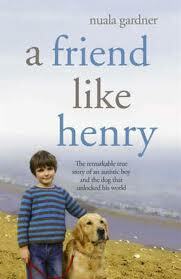 The remarkable true story of an autistic boy and the dog that unlocked his world. When Jamie and Nuala Gardner chose a puppy for their son Dale, they weren't choosing an ordinary pet. Dales autism was so severe that his behaviour could veer from silence to shrieking banshee in just seconds. Jamie and Nuala spent most of their waking hours trying to break into his autistic world. But the Gardner's' lives were transformed when they welcomed Henry, a gorgeous Golden retriever puppy into the family. With patient work, the bond between dale and his dog helped them produce the breakthrough in their son they had long sought. When Lady Jane Rievauko begins service to the Queen at Richmond Palace, she is thrilled at the courts' newest arrival- Master James Lacey. However James is setting sail on a treacherous journey to the Americas seeking absolution for what he sees as past sins. But all three have been given a second chance- to work for an agency that no-one knows exists. its purpose: to prevent time travel destroying history. 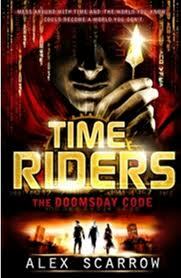 In this book the Time Riders travel back to Sherwood forest to discover the origins of an ancient message..but a strange hooded man is looking for the same thing. What is the cryptic link from the past and what does it hold for the future. Historical fiction is one of my favourite genres, Canterbury is my favourite place and I love Banks Peninsula. My family have a bach there and last time I went to Akaroa I foraged around all the historical sites and the Onuku Marae- so when this book came out- set on Banks Peninsula during its settling years- it became a must read. Colin Bateman is such a well known author and now he has turned his hand to writing adventure stories wrapped around natural catastrophe's. The combination is sure to be a winner. Chris Ryan cross Robert Muchamore- it has to be good. Great read for the boys!!! This books is about life, loyalty and freedom from a remarkable herd of elephants. When Lawrence Anthony was asked to accept a rogue herd of wild elephants on his Thula Thula game reserve in Zululand, his common sense told him to refuse. But if he did not take them- then this herd would have to be destroyed. 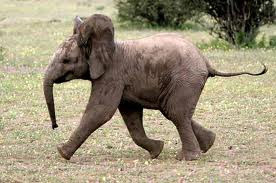 This book will appeal to animal lovers and adventurous souls everywhere.. and i just has to put a photo of a cute elephant in this blog- cause they are !!!! I am a Cantabrian- I am a fervent one eyed Canterbury Rugby Fan and as I sit in my library office here in the Waikato , I am wearing a Crusaders jacket- because tonight the Crusaders are going to slaughter the Chiefs in Napier. 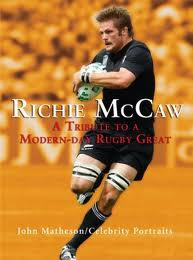 So here's to Richie _ I don't care where you are from- you just have to admit that this man is a legend, a leader and a great kiwi man!!! Did you know he plays the bagpipes!! This book is mostly about his status as the best No7 in the world, his games, his story- but it has information about the man himself!!! THE BOOK FROM THE MOVIE "THE SOCIAL CLUB'- ITS THE FACEBOOK STORY. You dont get 500 billion friends without making a few enemies. Rigg has the strange talent for seeing the paths of peoples past- but when his own fathers dies Rigg discovers secrets about his own past. What he discovers is that there is a struggle over his very existence- two factions- one wants him crowned and one who wants him dead. Phillipa Gregory for Youth Fiction readers.
" I do not remember when I discovered how my mother dies, it seems to be something I always knew, a horror I absorbed through my skin"
Determined and passionate, privileged and headstrong. Elizabeth was born into a world where she felt she did not belong and had to fight to survive. Her mother Anne Boleyn was executed by her father- Henry VIII. From that moment on, Elizabeth competed with her two half siblings for love and for Britains throne. The royal palace- it had friends foes, enemies she could not see, loyal believers she did not know existed. Plots for her- against her. Yet how do you have the courage to become queen even though you are just a girl? 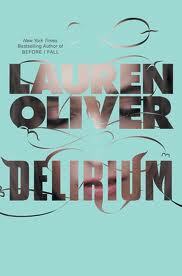 Set in the Northern part of New Zealand after volcanic eruptions and tsunami's caused the outset of the Dark. The few survivors are struggling to maintain their tenuous communities in swamplands. Now food and resources are dwindling and the real hope for the future rests with the youths who are selected to venture into the devastated mainland to find any remaining food sources... However more is yet to come as the heavens themselves change- revealing dramatic events that no-on can ignore. What would you sacrifice for a kiss? "We've known each other forever- it's just taken this long to find each other.."
When smouldering Finn and cute Lucas arrive in Winter Mill, life starts to get very complicated for Faye McCarron. The two boys are battling for her heart- but with a dead body in the woods, a motorcycle gang on the prowl and non stop snow- events are becoming sinister. Halloween approaches and so does the dark secret. As for Finn and Lucas- well read it to find out which one wins!!! This is a fictionalised account of the life of Helga, a twelve year old daughter of Joseph Goebbels, the Nazi Party's Head of Propaganda. She ate chocolate cake with "uncle leader" every night- but as the Nazi machine crumbled, so did her life. This is the bunker story, of a young girl, shattered dreams, and the consequences of being a daughter to an evil man. The Scriven people are brilliant, mad and ...dead. All except one, whose insane creation is nearly complete- a giant city on wheels. New London terrifies the world beyond and armies determined to stop it are gathering to attack. Young Fever Crunch is at the horrifying heart of the great war that is about to change the future of the human race. This series is one of my son's favourites, although he is now 21- he will be wanting to keep reading the series that helped get him hooked on Sci-Fi and Fantasy..
Anorexia; a disease my niece suffers from, and it is not an easy thing to watch, and even harder for her to conquer. This novel is about a girl desperate to be skinny, to fit in, to catch the cue guy at school. It is also about the fast and dangerous slide that eating disorders take you on. To start with you want control- but then it fully controls you. 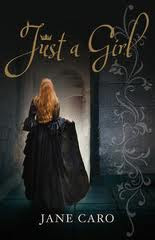 This novel also touches on the help a relationships with God gives, in giving courage to deal with the hell of anorexia. "Every dress has a secret. let me tell you mine..."
"A captivating and enchanting novel about vintage frocks and new experiences for every girl who knows that the right dress can change your life." Dora's placid humless life, is turned upside down when her grandmother Mimi dies, and Dora takes over her vintage clothing shop. 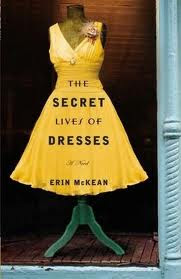 Her grandma,other (Mimi) has written a story to go with every dress she sells- romantic, heartbreaking tales about the secret lives of dresses. Can Dora match these frocks and their stories with new owners- and carry on the stories of the dresses. Rick Riordan does it again- he has created another series to enthrall and inform, challenge and scare. If you liked percy Jackon- then kane Chronicles awaits. 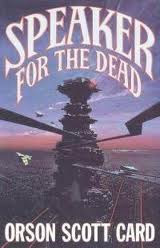 This is a Hugo and Nebula award winning classic, that means it is a really good sci-fi book. It is cross between a war novel and science fiction, the present and the future, space and earth, war and peace. Some say it is the most important war novel written since Vietnam and others say it is the best science fiction novel ever written. Either way- it looks like a must read. "Outstanding! Easily the best novel set in the world of cooking -ever and absolutely thrilling from beginning to end" Anthony Bourdain. From India to France- family and food, mouth watering recipes and restaurant rivalry. Simon Beaufoy advises "Don't read this book if you are hungry. You might eat it". For me its the classic combination- travel, food and people, and it also has the yummiest of all things on its cover- a Mango!!! Matiu Douglas has settled in Taupo after his adventure of slewing the taniwha at lake Waikaremoana. He still is in training refining his martial arts and magical skills. Before long he is drawn again into seeking the elusive power of Puarata, to gain "The Heart- Te Iho". Hand guns, flintlocks,technology, magic, modern teens, and mythological being all collide in this thrilling young adult fantasy novel. First is was John Wayne, then Matt Damon. 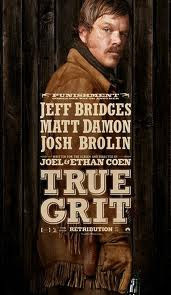 This is a true western made into two movies, so the book must be good! Roald Dahl said it was the best book he had read in twenty year, he called it "an epic, and a legend". It has cowboys, Indians, horses, revenge and money- what more could you want? OK- and a romance! Its your turn to cook? What is it going to be? This was Claire's quandary when it was her turn to cook the family meal. Her answers to that problem have resulted in a relevant, colourful, practical recipe book. It has recipes that you use all the time, but fancied up in a usable way. Rumours also have it- that this plucky NZer is having a quite visit to our very own school!!!! Can the disease of love be cured? You live for love, die for love. But the Government has declared that love is a disease that must be eradicated. They have found the cure and all will be cured by the time they are 18. Lena goes along with the Governments policy- love only creates hurt and pain- then just before her treatment she meets Alex! You may have read " Enders Game" here at school as a required read, well we decided it was only fair for you to have access to the sequels. "Speaker for the Dead', "Xenocide" and "Children of the Mind" are all now in the library. How does the Ender Saga end? You can now find out!